This is the second printing on Black Vinyl ..! 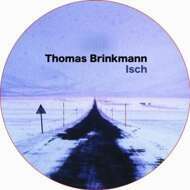 A rare release from one of minimal house and techno s most respected icons, Thomas Brinkmann. Isch is a much sought after track taken from a record that has been out of print since many years. Not many people know that this track was originally made for the Mutek festival in 2002. Out of respect we let Mr. Brinkmann choose his prefered remixer and we were more than happy when Soulphiction aka Jackmate (Perlon, Sonar Kollektiv, Philpot) took on the challenge.